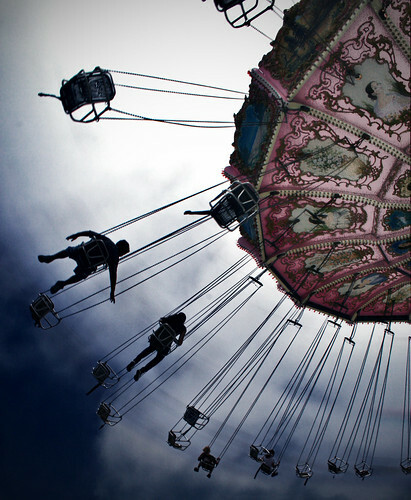 Flying high at the county fair. Late summer is the beginning of the harvest season. It’s a tradition throughout the agricultural communities of the U.S. to have county fairs celebrating the bounty produced by local farms. The wineries of the Olympic Peninsula are proud to be part of the rich agricultural heritage of the North Olympic Peninsula and the counties of East Jefferson and Clallam. Every year, all of us look forward to the Jefferson County and Clallam County Fairs. The Jefferson County Fair in the eastern part of the Olympic Peninsula will be having their festivities first. Clallam’s County Fair follows the next weekend. Tickets are available at the gate or you can save on the cost by pre-purchasing your tickets. Hours: Fri.-Sat. 10 a.m. to 9 p.m. ~ Sun. 10 a.m. to 6 p.m. Hours: Thurs-Sat: 8:30 a.m. to 10 p.m. (gates close at 9 p.m.) ~ Sun. 8:30 a.m. to 7 p.m.
Thursday is Kids’ Day, so children 12 and under are FREE until 6 p.m. Both fairs will offer competitions, fun fair rides, demonstrations, live music, art shows and much more. Get an elephant ear, walk through the different exhibits of animals, foods and crafts and enjoy the family-friendly atmosphere of the local county fairs! We highly recommend you check out both fairs since every county fair is a little different. The many different microclimates and growing conditions in our area affect the flavors of similar products. For example, the honey from one farm won’t taste the same as the honey at another farm because the bees are feeding from different kinds of flowers. It’s part of the magic of experiencing handcrafted local foods. While you travel between fairs, be sure to stop at the wineries of the Olympic Peninsula which are located all along the route between Port Townsend and Port Angeles. 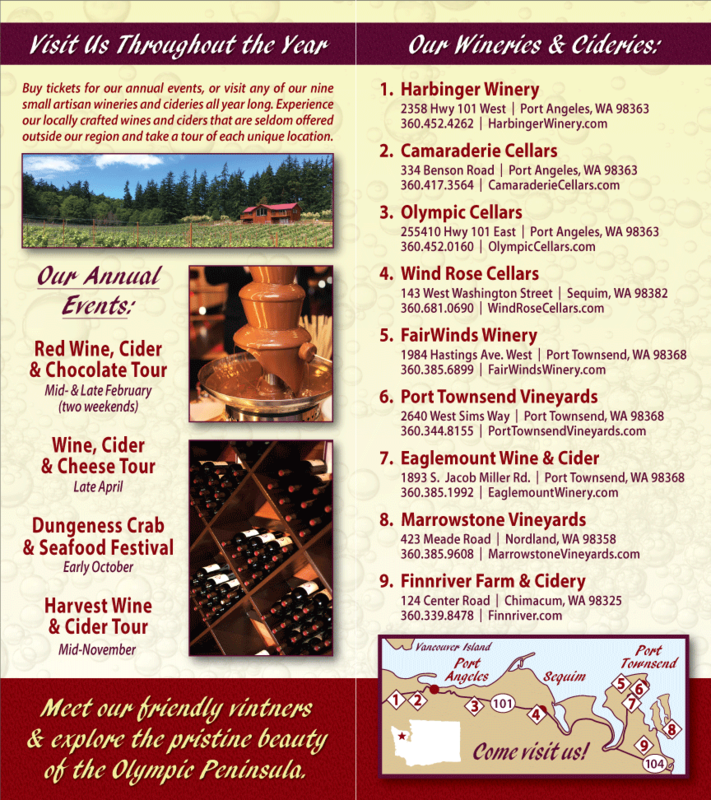 It’s a perfect way to get a full taste of the local foods, ciders and wines of the Olympic Peninsula’s fields, orchards and vineyards!